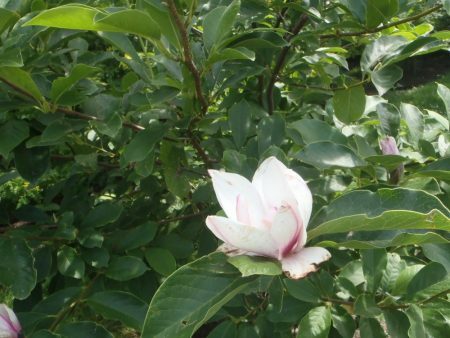 This hardy, versatile magnolia from Northern Japan has very large, white flowers which can grow as early as March and can reach up to 10cm across. It is recommended for planting on verges and in parkland. It can also be a nice addition to a large garden where it has space to reach its full potential. Magnolia kobus does well in most soils.